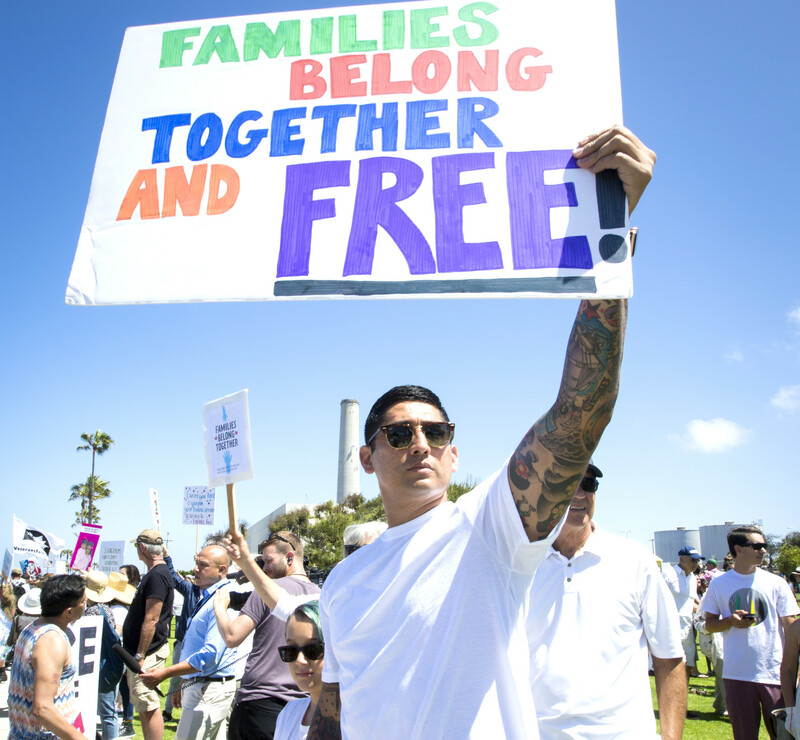 Ray Martinez of San Marcos and his family gather on Saturday, June 30 at Cannon Park in Carlsbad to protest the Trump administration's immigration policies. REGION — About 59 of the 102 children under age 5 who were separated from their parents at the border under the Trump administration’s “zero-tolerance” policy against illegal immigration are expected to be reunited with their families by tomorrow’s court-ordered deadline, attorneys told a federal judge in San Diego today. The judge acknowledged that more time may be justified only in specific cases, but initially left the July 10 deadline intact for children under age 5, along with a July 26 deadline to reunite all children age 5 and above with their parents. After receiving the list, ACLU Deputy Director of the Immigrants’ Rights Project Lee Gelernt said it appeared likely that less than half of the children would be reunited by Tuesday’s court-ordered deadline.